5 | 25 students enrolled. 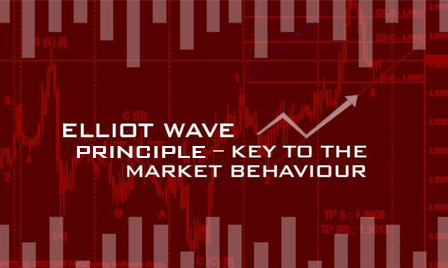 Elliot Wave Principle is a detailed description of how groups of people behave. It reveals that mass psychology swings from pessimism to optimism and back in a natural sequence, creating specific and measurable patterns. One of the easiest places to see the Principle of Elliot Wave at work is in the financial markets, where changing investor psychology is recorded in the form of price movements. If we can identify repeating patterns in prices, and figure out where we are in those repeating patterns today, we can predict where we are going in the future. By using the Elliott Wave theory, you can identify the highest probable moves with the least risk. This course aims at teaching the students the basics of Elliott Wave theory and giving it a practical approach to using it in the financial markets. This programme is most suitable for those aspiring to develop a good base in advanced concepts of Elliot Wave analysis. It aims to explain the principles of Elliot wave in a very easy and simple manner with the help of charts and diagrams. The candidates who have an understanding on technical analysis will greatly be benefitted with Elliot wave course since it will help them in making a better trades using the analysis of Elliott wave. The participants will also be given free access to related webinars conducted by Kredent Academy for further knowledge enhancement, free email query support and Question & Answer platform support. After successful completion of the course the students will get a Certificate of Completion. The student has to appear for an examination hosted on the website itself under “Test section >> Certification Test." After successful completition of the examination , students can download soft copy of the certificate from the webiste: www.elearnmarkets.com itself.